ExtraDigital produced the Arabic website for the British Museum with over 100 pages in Arabic, based on a range of different page templates. We were first asked to produce the arabic website in 2010 as the content management system used for other languages woudl not cope with the arabic language. The website was colour coded by section and this was replicated in the arabic version. Much of the design layout was reversed to cater for the right to left language. Some styling needed changing to cope with arabic words and lettering which tends to be longer than English words. The Arabic typesetting is a different shape to English. 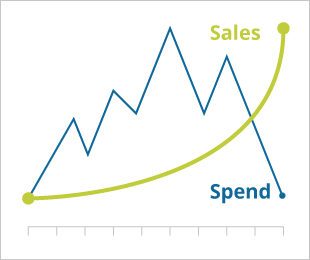 Words are usually longer and the lines smaller, so we increase the font size to make legible. The British Museum website uses a specialist vocabulary, with historical and archaeological language being needed on the exhibit pages. Egyptian Arabic language is preferred as this is more commonly used amongst archaelogists. This was a large project with over 100 pages created in a variety of different templates. Not all pages from the English site were used, so menus needed adapting to suit the arabic site. 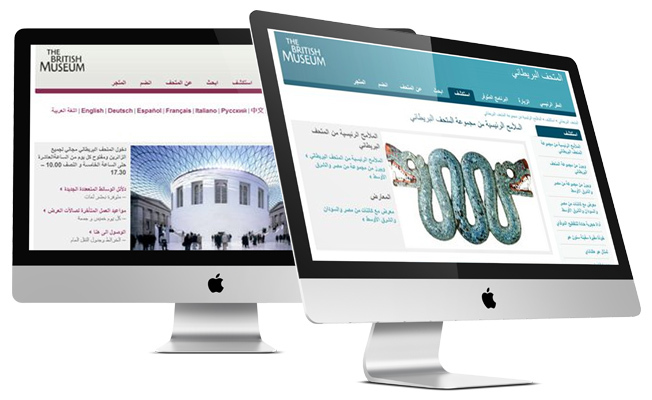 In 2012 the British Museum updated their website design, so ExtraDigital upgraded the arabic version to match, developing new templates and applying these to existing pages as well as updating the content on some pages.